The Center for Medicare and Medicaid (CMS) has issued a final rule to expand short-term insurance options for Americans as part of the federal government’s continuing campaign to undermine the Affordable Care Act (ACA). The new HHS Notice of Benefit and Payment Parameters for 2019 provides operational and technical guidance to insurers that want to offer Qualified Health Plans (QHPs) in the Federally-facilitated Exchanges (FFEs) for plan years beginning in 2019. Untouched by this new rule is the ACA’s employer mandate that requires employers with 50 or more full-time or full-time equivalent employees to offer minimum essential coverage to 95% of full-time employees and their dependents and where such coverage to full-time employees is both affordable and meets minimum value or be assessed employer shared responsibility payments (ESRPs) as penalties for failing to comply with the healthcare law. 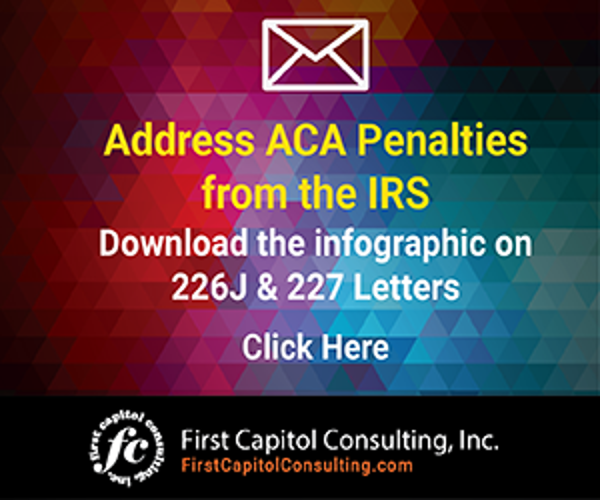 The IRS started issuing Letter 226J penalty notices at the end of last year, some containing ESRPs larger than $20 million, to employers that did not comply with the law in 2015 based on annual ACA information filings provided to the IRS. The penalty notices are anticipated to be issued for 2016 before the end of the year. Aligning the enrollment options for all dependents who are newly enrolling in Exchange coverage through a special enrollment period (SEP) and are being added to an application with current enrollees, regardless of the SEP the dependent qualifies under. Providing additional flexibility to states on which types of essential health benefits (EHBs) they must provide. Starting in 2020, states will be allowed to choose from one of 50 EHB plans that other states used for the 2017 plan year. This includes letting states replace one or more of the 10 required ACA benefits with the same categories of benefits in another state’s plan. Amending the medical loss ratio (MLR) requirements to reduce regulatory burden in order to stabilize insurance markets, increase insurer participation and expand consumer choice. Critics say this will likely have the result of insurers spending less on medical claims. Making it easier for small business to enroll in coverage and lower costs by removing several regulatory requirements on small business health option programs (SHOPs). The change will allow SHOPs to eliminate the online enrollment process and allows employers to enroll directly with an Exchange-registered agent, broker, or issuer. Increasing the primary role of state regulators in the rate review process, while reducing the regulatory burden for states and issuers, and providing insurers more flexibility in increasing rates by increasing the default threshold for rate increases subject to review to 15 percent from 10 percent. “Too many Americans are facing skyrocketing premiums that they can’t afford and every year consumers are faced with the threat of fewer choices. This rule gives states new tools to stabilize their health insurance markets and empower citizens to find coverage that fits their families’ needs and budgets,” said CMS Administrator Seema Verma in a CMS press release. In the meantime, if you are an employer that has just received a Letter 226J from the IRS, learn how to respond to this penalty notice by clicking here. 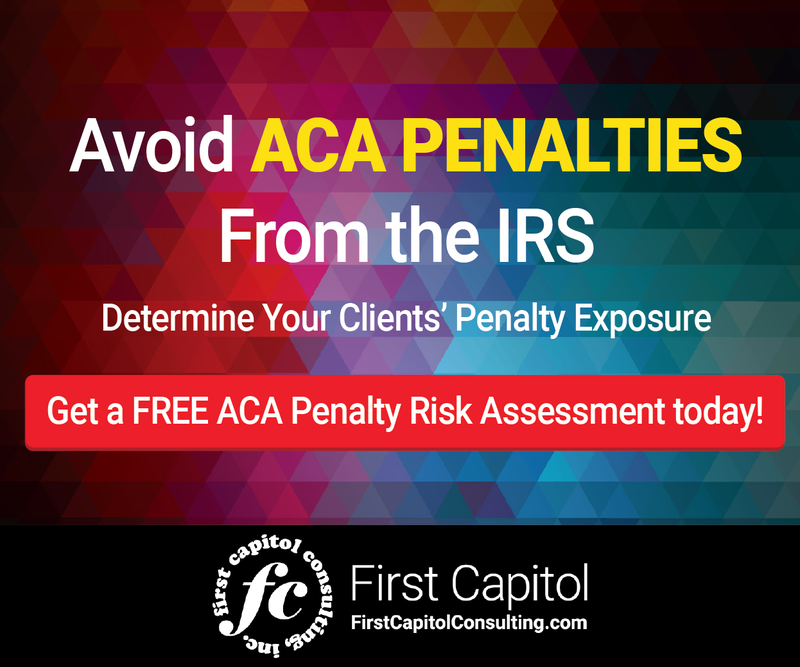 If you haven’t received a Letter 226J yet, consider reviewing the 1094-C and 1095-C forms filed with the IRS in 2015, 2016 and 2017 to determine if you may be a risk of being assessed an ACA penalty. To learn more, click here. The Center for Medicare and Medicaid has issued a new rule that makes several changes to healthcare under the ACA. One thing it doesn’t change is the ACA employer mandate.